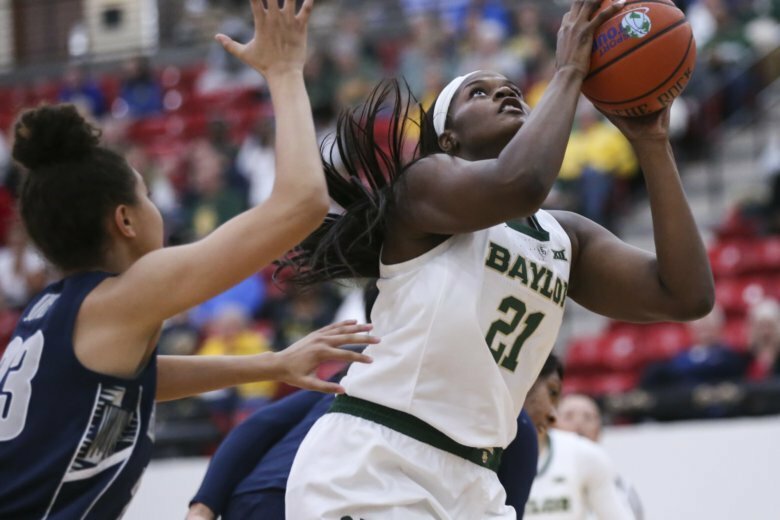 LAS VEGAS (AP) — DiDi Richards sprung off her chair and performed a quick pirouette on the Baylor bench just two minutes into the third quarter Saturday night. Teammate Juicy Landrum’s long 3-pointer, which gave the Lady Bears their biggest lead of the game, had the sophomore guard feeling some type of way. With Georgetown doubling Big 12 player of the year Kalani Brown in the post, Baylor’s guards went to work on the perimeter. Baylor: Brown will look to get going in the upcoming weeks after struggling in the Lady Bears’ two games in Las Vegas. Brown shot 4 of 10 against South Dakota State on Friday and finished with just five points and three rebounds on Saturday. Mulkey said her star center just “needs to just relax” and not put too much pressure on herself.